As already done for the Old English Cemetery, I collected some quotes from travellers’ accounts regarding Livorno (or Leghorn). This page will be evolving with time, as new quotes are found. Please feel free to collaborate in providing more quotes and interesting passages about the city and port of Livorno. N.B. Some of the hyperlinks (on names of people) point to the relevant prosopographical data sheet on the project database (see how to access the database), while others point to different websites. 21t October, 1644. We took coach to Livorno, through the Great Duke’s new park full of huge cork trees, the underwood all myrtles, among which were many buffaloes feeding, a kind of wild ox, short nose with horns reversed; those who work with them command them, as our bearwards do the bears, with a ring through the nose, and a cord. Much of this park, as well as a great part of the country about it, is very funny, and the air very bad. Leghorn is the prime port belonging to all the Duke’s territories; heretofore a very obscure town, but since Duke Ferdinand has strongly fortified it (after the modern way), drained the marshes by cutting a channel thence to Pisa navigable sixteen miles, and has raised a Mole, emulating that at Genoa, to secure the shipping, it is become a place of great receipt; it has also a place for the galleys, where they lie safe. Before the sea is an ample piazza for the market, where there are statues in copper of the four slaves, much exceeding the life for proportion, and, in the judgment of most artists, one of the best pieces of modern work. Here, especially in this piazza, is such a concourse of slaves, Turks, Moors, and other nations, that the number and confusion is prodigious; some buying, others selling, others drinking, others playing, some working, others sleeping, fighting, singing, weeping, all nearly naked, and miserably chained. Here was a tent, where any idle fellow might stake his liberty against a few crowns, at dice, or other hazard; and, if he lost, he was immediately chained and led away to the galleys, where he was to serve a term of years, but from whence they seldom returned; many sottish persons, in a drunken bravado, would try their fortune in this way. The houses of this neat town are very uniform, and excellently painted a fresco on the outer walls, with representations of many of their victories over the Turks. The houses, though low on account of the earthquakes which frequently happen here, (as did one during my being in Italy), are very well built; the piazza is very fair and commodious, and, with the church, whose four columns at the portico are of black marble polished, gave the first hint to the building both of the church and piazza in Covent Garden with us, though very imperfectly pursued. 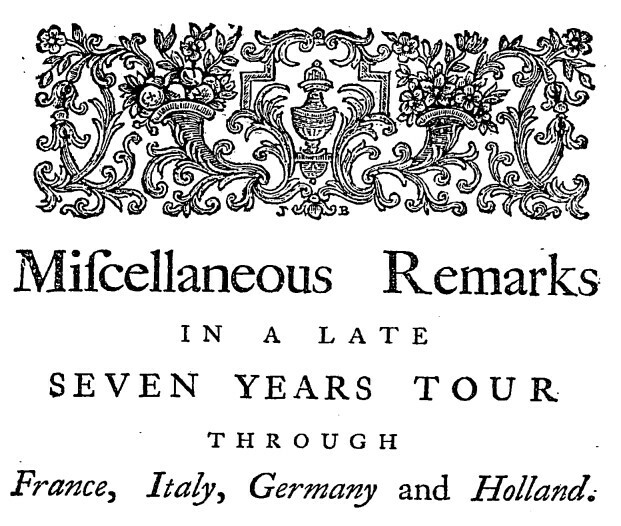 […] Having taken a satisfactory view hereof, we went on our way to Ligourne, whither there is an hourely convenience of a Coach to transport Merchandise from Ligorne to Pisa, the Duke hath made an artificiall Channell, of 15 miles long, which bares small boates like to Venetian Gondoloes. The Escluse of which Channell we saw at our setting forth out of Pisa, cover’d for 250 paces. The most part of the way to Ligorne is through Fennes, till one enters into the great Dukes Forrest, which continues to the towne. Ligorne the only maritimate place of importance, under the Great Duke, is situated in a plaine, at the board of the Mediterranean Sea, tis but little, yet the great concurse of Merchants which flow thither from all Nations, chiefly from my one, make it more spoken of than many Cities, of a larger extent. 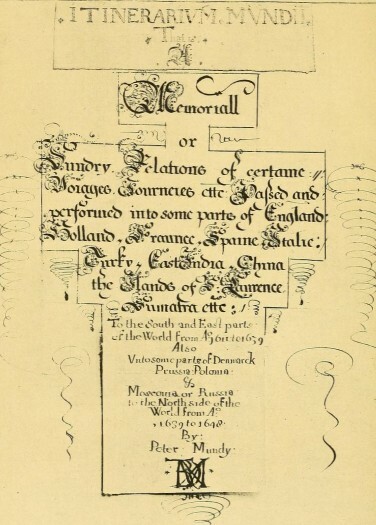 ‘Tis an innumerable summe of money the Duke receives yearly from this small Port: wherefore his Predecessors with him have omitted nothing to make it strong, witnesse the royall Bastions, and mote wherewith tis fenct; The great Port where the Ships lay at Anchor, is defended by the Mole, and about hath many fanalls. The Darcina, where the Gallies (then but fix in number) lay as quiet as in a Chamber, is most exquisitely well contriv’d: Before stands that best of moderne Statues, the Duke Ferdinand in Marble, and the Colosses of foure slaves under him, in brasse in divers Postures, so lively represented, that if the Statuary could have fram’d a voice as well as those bodies, he might have conquer’d nature. Besides this piece, there are no more curiosities in this towne, yet many conveniences. The streets are generally large, the houses low, but uniforme, unlesse some which have been put out of order by an Earthquake, to which this place is often Subject. The great place is very beautifull, and fit for the assemblies of Merchants. On the houses round about and in the fairest streets, are pictur’d all the battels, and victories of the great Dukes gallies, obtained over the Turks, which a slave did to gaine his redemption. The Jewes which are here in great number, have the fairest Synagogue I ever yet saw, wherein on a Saturday their Sabbaoth, we saw the manner of their divine (if so I may call it) service. Their priviledges here are more then ordinary, they wearing no marke of distinction as in other Townes, so that here the wealthier and richer sort are of that Sect. The Greeks likewise have a Congregation, and Church here. In a word, Ligorne is compacted of forreigners, yet the unwholsomenesse of the aire banisheth a great part from thence, which I by dangerous experience found true; for the day before I was to depart for Florence, (having all the while I stayed at Ligorne found a strange alteration of the aire, different both from that of England and France.) I was ill dispos’d to sicknesse, however, not so much but that I adventur’d on my journey, which though with much difficulty I perfected. Ligorne. From Pisa we went to Ligorne, (Portus Liburnus in Latin) through a pleasant forrest. This is the onely haven the Great Duke hath; and the mouth which letteth in that food which fatteneth this State. We stayd not long here, the season pressing us to be gone, and this towne, being soone seen. For the towne its but little, yet one of the neatest haven townes a man can see. Heretofore it was not sufferable by reason of the bad ayre; but since Ferdinand the first built it a new, and dryed up the neighboring Fenns (gathering much of the water into a cut channel, which goes hence to Pisa, and carryes great boats) the towne is twice as wholesome, and thrice as rich as it was. The things I saw in this towne were these. 1. The Mole which shutts up the haven. 2. The Lanterne which with seaven lights guides in ships in the night. 3. The Haven it self where ships lye safe, and the little haven within that, which serves for a withdrawing roome to the great haven, where the Gallyes retire themselves. 4. The statue of Ferdinand the first in marble, with the Statues in bronze of four slaves at his feet. These are the 4 slaves that would have stolne away a galley and have rowed here themselves alone; but where taken in their great enterprize. 5. The Greek Church. 6. The Castle. 7. The Tower in the Sea where they keepe gunpowder. 8. The Iews Synagogue. 9. Two windmills which are rare things in Italy, and therefore must have a place here among therarityes of this towne. I found not any Academy of wits here, nor any records of any learned men of this towne. All the Latin here is onely, Meum, and Tuum, and their wits are exercised here, how to make good bargins, not good Bookes. Indeed what should the Muses do here amongst the horrible noyse of chaines, of carts, of balling Sea men of clamorous porters, and where the slaves of Barbary are able to fright all learning out of the towne with their lookes, as all Latin with their Language. Yet I must confesse, they study here belle Lettere: for if the true belle Lettere bee Letters of exchange, your marchand here, if you present him a Letter of exchange from his correspondent, will read it over, and over againe, and study upon it, before he give you the contents of it in money. LEGHORN. Pisa is fourteen miles distant from Leghorn: The interjacent Country is flat, and the Way lies for the most part through Woods of ever green Oaks, Cork Trees, and Wild Myrtles. ‘Tis said, that all these Forests were formerly cover’d by the Sea, which reach’d within three miles of Pisa, to a place where there is now a great Church, at the entry of the Woods. I have already told you, that Leghorn is a modern City; it is situated on a flat Ground, and surrounded with handsom Fortifications cover’d over with Brick: the Streets are large, streight as a Line, and parallel; the Houses are generally of equal heighth, and almost all painted on the outside. [margin: Most of the Painting was done by Aug. Tasso, a Native of Bologna.] The Harbour is not so well stor’d with Ships as several others, but the Trade of the Bank is very considerable. This is the only Sea-Port in the Dukedom of Tuscany, and the station of the Great Duke’s Galleys. There is a House built on purpose for the Slaves, or a kind of Hospital, in which they lye, contrary to the Custom of all other places.They tell us, That one day, as St. Peter was fishing, there arose a Tempest, which drove him to this very place, where he was shipwreck’d. And they add, That he erected an Altar there, about which the Church was built by a certain Pope some Ages afterward. It would be needless to relate the rest of the Story. […] as it was midnight we were obliged to anchor at least a league from Leghorn, where we lay till morning; the ship rocked so much, occasioned by the agitation of the waves, as rendered it more tiresome and disagreable than when under sail, when the chearful sight of the morning appeared, we weighed anchor, and arrived safe in the harbour of Leghorn. This is a neat well built city, situated on a plain, almost level with the sea; at the entrance there is a fine mole, which encloses a noble haven, where ships of the greatest burthen may ride in safety, and capacious enough to contain great number of vessels; adjoining to this is another small haven, where the great duke or emperors’s gallies lie; as a guide for ships into this harbour in the I night there is a fine tower or lanthorn, of infinite service to mariners: in the small haven or port are four or five large gallies full of slaves; near the place where these gallies are is the famous marble statue of Ferdinand, great duke of Tuscany, with four Turkish slaves at his feet in brass or copper, esteemed by all travellers as the finest piece of workmanship of the sort that can be met with; these four slaves as the history mentions, were a father and his three sons, who would have run away with the galley, but being discovered, were all executed; the attempt was bold, and I think their case a little hard, since all men have implanted in their breasts a natural love of liberty; the streets of this town are very regular and well paved; here is a large handsome square, at one end stands St. John’s church, and on the side a palace of the great duke’s, several English factors reside here, and being a free port, occasions it to be a town of great trade, for it is really the chief port on the Mediterranean sea; a great many of the inhabitants speak English; about twelve o’clock at noon the merchants meet, in a street adjoining close to the square, to negotiate their respective business as on our Royal Exchange; and here you see people of all nations; without the gates of the town are some pleasant walks, and at some small distance from it a lazaretto, or pest-huse, to perform quarentine, in time of a plague. 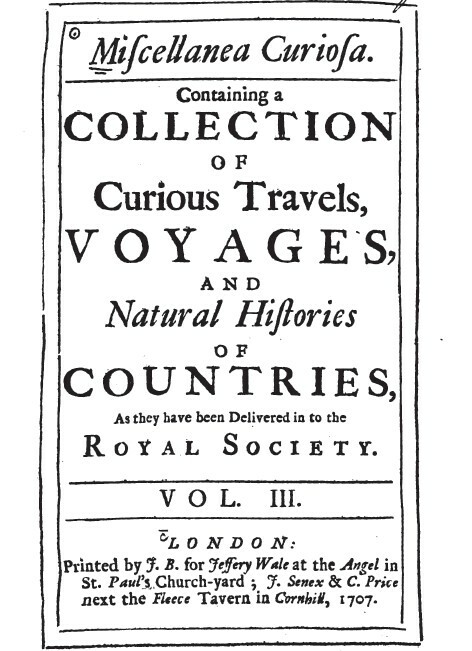 […] Sir John Finch is professor here [in Pisa] of anatomy, and with him lives Dr. Robert Baines [sic, Thomas Baines]. Mr. Clutterbuck hath a house here and at Ligorn. April 7. We went in the Navicella (as they call it) or little boat, like the Padua bark, in a narrow cut of water, and observ’d on our right hand a woody plae (half way to Ligorn) where the duke of Florence hath a park, decoys, &c. on our left hand we had a fenny country covered with reeds and water, &c. In five hours time we arriv’d at Ligorn, where the soldiers examin’d us at the gates, and one soldier was sent with us to the governor’s house, where we left our fire arms. We stay’d there till April 16. this time, and from the 9th to the 12th of July, when we returned hither from Naples. English merchants, Mr. Robert Foott, Mr. Tho. Dethick, Mr. Hen. Brown, Mr. Skinner, Mr. Death, Mr. How, Mr. Ashfield, Mr. Tho. Stone, Mr. John Heard, Mr. Ley, Mr. Beale, Mr. Norleigh, Mr. Constable, Mr. Longland, Mr. Gold, Mr. Sidney, Mr. Serle, Mr. Hatton, Mr. Micho. All sorts of nations and religions frequent this place. There are many Greeks and Armenians. The Hews have a large part of the town to dwell in; their burying place is a little distance without the walls; on their grave stones are Hebrew inscriptions, with the date according to the christian account. Many Jews sell old cloaths in the streets. Mr. Foott, Mr. Dethick, Mr. Brown, Sig. Benj. Benassai of Luca, and Jacob Rodrigo Francia a Jew, were our merchants. Ligorn is of an indifferent bigness, the streets broad and streight, centring in a large piazza where the merchants meet. The houses are not tall, and are not ill built. Round the town are strong fortifications, a castle towards the sea, and towards the land a high earth-work and stone wall, with several mounts and bastions, besides a broad ditch and outworks. None are permitted but soldiers to walk on the highest part of the wall, but a little lower is a publick way. On one side, without the wall, is a fort with a ditch only about it, and towards Pisa is a suburb consisting of two or three streets, called Venetia, having a channel of water running thro’, and a flight wall about it. There are strict guards at every gate, many centinels on the walls who have each of them a watch-house, with a bell that they ring every hour when the centinels are chang’d. The chief street is from one gate to the other; at the land-gate are planted cannons which command the piazza. Guards of soldiers stand in several places of the streets. The duke’s gallies lie within a port that is wall’d and built about. On the key is erected a stately marble figure to Ferdinand duke of Tuscany, and at each corner of the pedestal is a brass figure of excellent work, and representing four slaves. Many slaves go up and down the streets with a lock on one foot, and they are employ’d in all servile works, as porters, &c. Some cry Pisa water which is also sold by the apothecaries for two gratz a flask. The slaves have a market within the town, and another nigh the gallies, for the selling of cheese, &c. At night they lodge in the gallies, but are better used here then at Genoa. Towards the haven is a strong castle, having sea-water round about it. The mole or pier is long, and secures many ships that lie within it; the lantern is a tall tower in a rock within the sea. On another side of the haven are two or three lanthorns more. Ligorn road is safe for ships. They drink here red Florence wine, which is somewhat like, but stronger than French wine. It mingles well with Pisa water. Verdea is a whitish wine of a pleasant taste, and is sold here for about two julii a flask. Great variety of fish taken in these seas. At the theatre where comedies are sometimes acted, we saw a German woman dancing well on the ropes, and her daughter and two youths shewing many tricks on the ropes. Gratis. Adi. 26 di Aprile 1664. Noi conservatori e magistrato di Sanità della Città e porto di Livorno, per ill’ Serenissimo gran Duca di Toscana attestiamo come si parte dalla presente Città e porto, ove per la Dio gracia, e della Santissima Madonna di Monte Nero nostra Protettrice si vive con ottima sanità e senza sospetto alcuno di mal contagioso per andare a Napoli… P.S. [p.631-632] July 8. Early in the morning we rowed in a tumbling sea, and doubled the cape of M. Nero, where our boatmen saluted the V. Mary in their superstitious way. Then pass’d in sight of li Greci, a large building where troopers quarter, and then we enter’d the mole of Ligorn, delivering our bills of health on the side of the mole. Then a soldier out of one of the forts, called to us, and asked whence we came, &c.
July 12. We took our places in the boat or Navicelle, and in five hours went from Ligorn to Pisa, where a searcher enquir’d into our portmanteaus. At night we gave our names to the inn-keeper. LEGORNE Next to Florence, the most considerable in the G. Dukes State, is excellently fortified both to Land and Sea, where it has a Mole of greater length than Genoa, and by it the fine Statue of Ferdinand the First, with four slaves in Brass at his feet; Being a free Port, ‘tis fill’d with Strangers, of which the Jews are not a less number than 5000; of English Merchants Families there are about then; as many of Hollanders, but many more French of all sorts. TRADE. ‘Tis the Magazine of the Streights, and has a good Trade, particularly with England, who carry thither Cloath, Lead, Tin, Iron, Spices, and Herrings; the only Commodities to be had there, is Silk, Wine and Oyl. GOVERNMENT. 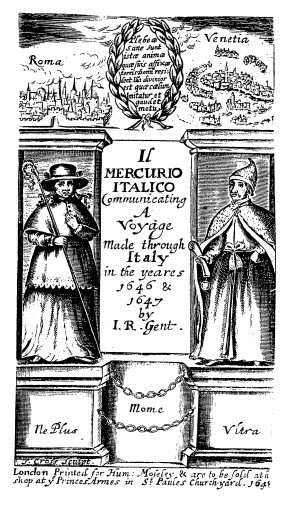 It has two Governors, the one Millitary, the other Civil; the first in General Borri, the latter Marchese Medici: His Highness constantly keeps four Galleys, esteem’d the best in the Mediterranean, and several little Ships Crusing against the Turks. From Pisa is a Canal cut to Ligorn, broad enough for Vessels of a considerable Burthen to pass. The Country is plain but full of Woods, in which are much Deer and many Wild Boars. Ligorn, which formerly belonged to the State of Genoa, came to the Dukes of Florence upon an Exchange, who have made it one of the most considerable Ports, and safest, upon the Mediterranean. Here lies the Gallies of Florence, and the Town strongly walled, has always a good Garrison, and Provision of Corn for seven Years Siege. It is about three Miles in compas, and contains by repute 70000 Souls. Many Merchants from all Parts are constantly residing here, and ‘tis thought 15000 Jews, who are much encouraged under this Government, and not obliged to wear the Distinction of Red Hats, as every where else in Italy; so they live in great Affluence, and grow very rich. I had greater opportunities here, than before, to inform my self of the Duke of Florence’s Government. The Taxes are very heavy scarce any thing sold, but has an Appalto (or Monopoly) upon it, the Duke Farming out all, which enhances the Prizes to the Buyers, and squeezes great Sums from his Subjects. The Butchers have their Licenses for killing and vending Meat, the Bakers the like for Bread, &c. Nay I was told by some of the English Merchants, they did believe his Appalto upon Ice was worth him a 1000 l. per An. Sterling. Besides all Houses and Lands fee, or unset, according to the highest Rents they have at any time held, have Rates set upon them, and the Portions of young Women pay him Tentlis. Other Customs are so often paid, they rise incredibly high, of which I had this instance, that a Flask of Florence Wine, bought at Florence for Two Craiches, (something more than Two Pence English, would cost Twelve Pence by that time it reached Ligorn. Leghorn is so well known of all Gentlemen and Marriners that have seen Italy, that it may seem needless to describe it. Nevertheless since it is a part of my Province, to take notice of such Towns as are in any regard eminent and famous, I shall not ommit to say something briefly of it. The City which is one of the chief Havens in renowned Italy, was by Francis and Ferdinand, great Dukes of Tuscany upon consideration of it’s commodious site raised from a mean village to a great Emporium. The said Dukes fortified it with a stone wall, since which time it was gradually advanced by the encouragement of Trade; and is at present strengthned with 5 Bulwarks and 2 Cittadels, or Forts the one whereof commands the Haven, and the other secures the Town on the Land side, towards Pisa, which is furnished with 60 great Guns. About 6 English miles from the City is a Beacon for direction of Marriners by night, there being many Rocks toward the South that are often the occasion of Ship-wrack, and is thereof called Malhora. These Rocks do cause impetuous breakings of the Sea, which yet render the entrance of the Haven more free and secure. So that Ships and Galleys may ride safely at anchor in this Road. 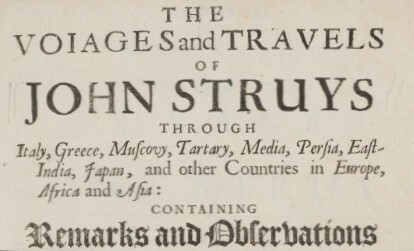 The City on the out-side appears more magnificent than it is indeed inwardly: The Frontispieces, as well of Privat as Public Buildings being plaistered, upon which are painted Sea-fights, Histories and Lanschap. In the midle of the Town is a stately Market place and an Exchange, where (as at other Places) Merchants meet and negotiate their Affairs. Corn, Flesh, Fish and other necessaries are here very good and cheap, which occasions almost all that are bound farther up to put in there for Refreshment. On a Corner Stand four statues in brass, representing the Father and 3 Sons, who attempted to row away a Galley, belonging to the Duke of Tuscany; and ply’d so strongly that the rest of the Galleys, had enough to do to overtake them, and were ready to yield it for lost. These 4 men were Moors, and for that notable Essay, are recorded with their Images in mettal which are set one against another, with their Hands behind their back. Livorne is a very fine and handsome towne, though the ill lives of the Inhabitants doe some what defame it. It hath a very fine Port belonging to it, it being all the Port townes belonging to the great Duke of Florence, where reside many English Marchants and men of other Nations which is the cause that it is of the greatest repute for trade of any Port towne in Europe. It is a place of great strenght wherein is alwayes a Governour and Garrison to defend the place. 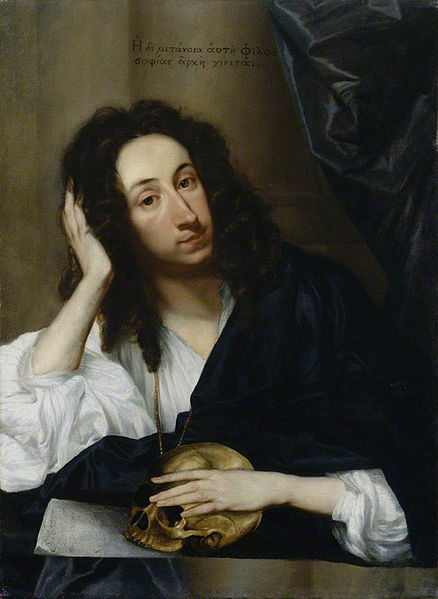 19 [Oct. 1668]. In the Morning we came to an Anchor in Livorne Road, about a Mile from the Town: the Road large and secure, especially to the Northward. The Ambassador keeps on Board, the Governour refusing to Salute the Ship first, though he had formerly saluted the French; pretending that every Convoy might carry a Flag; and alledging that his Master, the Grand Duke, was as great and absolute, as the Republick og Genoa: and that they had rather throw themselves upon the King of England, than do a thing which might prove of such an ill Consequence. 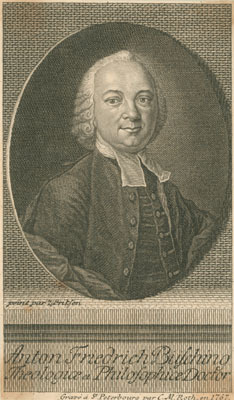 Sir John Finch, his Majesty’s Resident, together with Sir Thomas Baines, came from Florence to Complement the Ambassador, and immediately dispatched away a Courier to the Grand Duke about the Salute; who referred the whole Affair to the Governor: and he making a Protest that he was ready to pay all the respect which was due to the Ambassador’s Character and Quality, upon the forementioned Pretensions, six days, after our arrival, absolutely refused to Salute the Ship first. Livorne is the great Magazine of Trade for the Levant, being a free Port: Merchants of all Countries residing here, Armenians especially, and Jews; which latter enjoy great Priviledges, without wearing any distinct Mark in their Hats or Habits, whereby they may be known. They are allow’d the publick Exercise of their Religion: their Synagogue large and handsome. The Port inward has a Mole for the Duke’s Galleys and other small Vessels to ride in: the Entrance of which is chained up every Night. Hard is the Statue of Duke Ferdinand in Marble, raised upon an high Pedestal; under which are four Slaves in Brass in different Postures, very large, and above the ordinary proportion, but done with exquisite and admirable Art. Two Castles to the Seaward well fortified: the Town Walls very high, and the four Gates strongly guarded: below which is a Ditch of about fifteen or twenty yards over, and very deep. No Stranger is allowed to view the Works, nor Souldier permitted to come out of the Castles. About four thousand Slaves are there, as the Merchants told us, who are lockt up in the Bagno every Night. The Piazza, where the Merchants meet, is adorned with Marble Pillars, which sustain the Portico’s: at the East end of which is the great Church whose Roof appears very glorious, having several Circles richly gilded and painted with curious Figures. The broad Street is paved between two and three yards on each side with Freestone. From Sienna we went forward to Leghorne, where the Two Ports, the Bagnio, and Donatelli‘s Statue of the Great Duke, amidst the Four Slaves chain’d to his Pedestal, are very noble Sights. The Square is one of the largest, and will be one of the most beautiful in Italy, when this Statue is erected in it, and a Town-house built at one End of it to front the Church that stands at the other. They are at a continual Expence to cleanse the Ports, and keep ’em from being choak’d up, which they do by the help of several Engines that are always at work, and employ many of the Great Duke’s Slaves. Whatever part of the Harbour they scoop in, it has an Influence on all the rest, for the Sea immediately works the whole Bottom to a Level. They draw a double Advantage from the Dirt that is taken up, as it clears the Port, and at the same time dries up several Marshes about the Town, where they lay it from time to time. One can scarce imagine how great Profits the Duke of Tuscany receives from this single Place, which are not generally thought so considerable, because it passes for a Free Port. 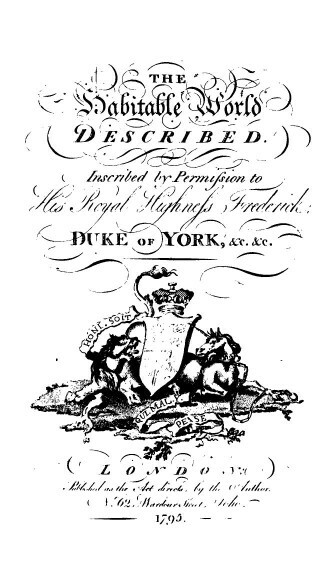 But, it is very well known how the Great Duke, on a late occasion, notwithstanding the Privileges of the Merchants, drew no small Sums of Mony out of them; tho’ still, in respect of the exorbitant Dues that are paid at most other Ports, it deservedly retains the Name of Free. It brings into his Dominions a great Increase of People from all other Nations. They reckon in it near Ten Thousand Jews, many of them very Rich, and so great Traffickers, that our English Factors complain they have most of our Country Trade in their Hands. ‘Tis true the Strangers pay little or no Taxes directly, but out of every thing they buy there goes a large Gabel to the Government. The very Ice-Merchant at Leghorne pays above a Thousand Pound Sterling annually for his Privilege, and the Tobacco-Merchant Ten Thousand. The Ground is sold by the Great Duke at a very high Price, and Houses are every Day rising on it. All the Commodities that go up into the Country, of which there are great Quantities, are clogg’d with Impositions as soon as they leave Leghorne. All the Wines, Oils, and Silks that come down from the fruitful Vallies of Pisa, Florence, and other Parts of Tuscany, must make their Way thro’ several Duties and Taxes before they can reach the Port. The Canal that runs from the Sea into the Arno gives a convenient Carriage to all Goods that are to be shipp’d off, which does not a little enrich the Owners; and in pro|portion, as private Men grow wealthy, their Legacies, Law-Suits, Daughter’s the Portions, &c. encrease, in all which the Great Duke comes in for a considerable Share. 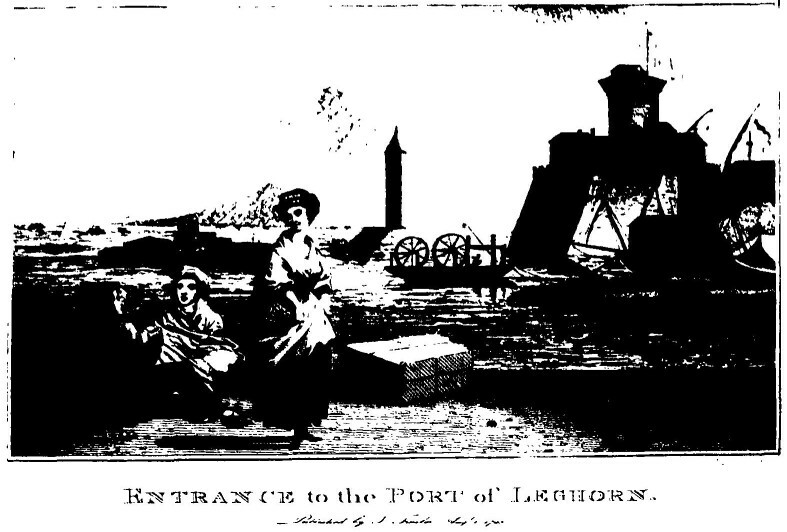 The Lucquese, who Traffick at this Port, are said to bring in a great deal into the Duke’s Coffers. Another Advantage, which may be of great use to him, is, that at Five or Six Days warning he might find Credit in this Town for very large summs of Money, which no other Prince in Italy can pretend to. I need not take notice of the Reputation that this Port gives him among Foreign Princes, but there is one Benefit arising from it, which, tho’ never thrown into the Account, is doubtless very considerable. It is well known how the Pisans and Florentines long regretted the Loss of their ancient Liberty, and their Subjection to a Family that some of them thought themselves equal to, in the flourishing Times of their Common-wealths. The Town of Leghorne has accidentally done what the greatest Fetch of Politicks would have found difficult to have brought about, for it has almost unpeopled Pisa, if we compare it with what it was formerly, and every Day lessens the Number of the Inhabitants of Florence. This does not only weaken those Places, but at the same time turns many of the busiest Spirits from their old Notions of Honour and Liberty, to the Thoughts of Traffick and Merchandise: And as Men engaged in a Road of Thriving are no Friends to Changes and Revolutions, they are at present worn into a Habit of Subjection, and push all their Pursuits another way. It is no Wonder therefore that the Great Duke has such Apprehensions of the Pope’s making Civita Vecchia a Free Port, which may in time prove so very prejudicial to Leghorne. It would be thought an improbable Story, should I set down the several Methods that are commonly reported to have been made use of, during the last Pontificate, to put a stop to this Design. The Great Duke’s Mony was so well bestow’d in the Conclave, that several of the Cardinals dissuaded the Pope from the Undertaking, and at last turn’d all his Thoughts upon the little Port which he made at Antium, near Nettuno. The chief Work-men that were to have convey’d the Water to Civita Vecchia were bought off, and when a poor Capucin, that was thought Proof against all Bribes, had undertaken to carry on the Work, he dy’d a little after he had enter’d upon it. The present Pope however, who is very well acquainted with the Secret History, and the Weakness of his Predecessor, seems resolved to bring the Project to its Perfection. He has already been at vast Charges in finishing the Aqueduct, and had some Hopes that, if the War should drive our English Merchants from Sicily and Naples, they would settle here. His Holiness has told some English Gentlemen, that those of our Nation should have the greatest Privileges of any but the Subjects of the Church. One of our Countreymen, who makes a good Figure at Rome, told me the Pope has this Design extremely at his Heart, but that he fears the English will suffer nothing like a Resident or Consul in his Dominions, tho’ at the same time he hoped the Business might as well be transacted by one that had no publick Character. This Gentleman has so busied himself in the Affair, that he has offended the French and Spanish Cardinals, insomuch that Cardinal Janson refused to see him when he would have made his Apology for what he had said to the Pope on this Subject. There is one great Objection to Civita Vecchia, that the Air of the Place is not wholsome; but this they say proceeds from want of Inhabitants, the Air of Leghorne having been worse than this before the Town was well peopled. The great Profits which have accrued to the Duke of Florence from his Free Port have set several of the States of Italy on the same Project. The most likely to succeed in it would be the Genoese, who lye more convenient than the Ve|netians, and have a more inviting Form of Government than that of the Church, or that of Florence. But as the Port of Genoa is so very ill guarded against Storms, that no Privileges can tempt the Merchants from Leghorne into it, so dare not the Genoese make any other of their Ports Free, least it should draw to it most of their Commerce and Inhabi|tants, and by Consequence ruin their chief City. From Leghorne I went to Pisa, where there is still the Shell of a great City, tho’ not half furnish’d with Inhabitants. Leghorn, is a Sea-Port, mention’d by Polybius, Antoninus, and the famous Roman Orator, Cicero. It formerly belong’d to the States of Genoa; but Cosmo de Medicis, Duke of Florence, exchang’d it with their State for Serezana. On the Key, stands that noble Statue, in Marble, of Ferdinand I. with four Turkish Slaves chain’d at each Corner of the Pedestal; they represent an old Man, and his three Sons, who were put to Death in that Place, for attempting to run away with one of the Gallies of the State, in order to regain their Liberty. Leghorn is a noble rich Town, of great Trade, well-fortify’d; and a convenient safe Port, that freely opens its Arms to embrace the Merchandise of all Europe. Even the Outsides of many of the noble Buildings have Paintings too good to be expos’d to the Injuries of the Weather: And the Insides are so profusely decorated with Statues, Pictures, Intaglias, &c. that the Beholder wou’d imagine himself in so many Poetical Inchanted Palaces. Their chief Trade consists of Florence Wine, Oil, and Anchoves. 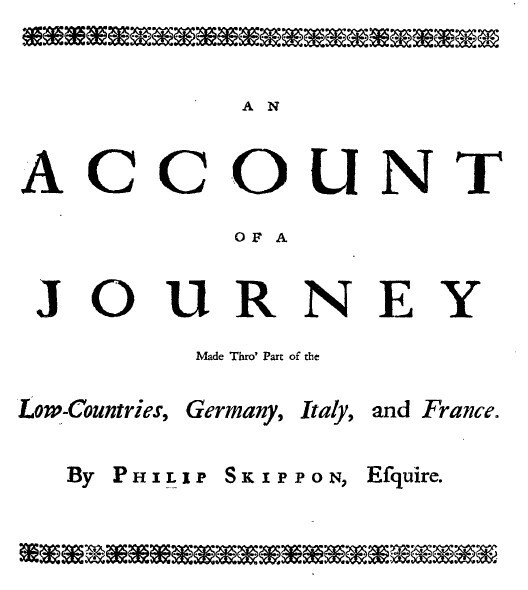 Tho’ there are constantly small Vessels in the Port, laden with Wine of Sardinia, Corsica, and Languedoc, which is drank on Board, to avoid paying the Duty, so that each Vessel is a Public Tavern; and notwithstanding there are frequent Disorders committed, yet they go on with Impunity, and no Notice taken of ’em by the State. LEGHORN is a neat, well-built city, situated on a plain, almost level with the sea; forty miles West of Florence; and one hundred and fifty North-west of Rome. The great wealth of Tuscany, and the true source of her power, has been this famous port of Leghorn; or Livorn, as the Italians call it; which was obtained from the Genoese, in exchange for Sarizana, an episcopal city, near Lerici, by Cosmo I. Duke of Tuscany. The country about it was formerly a morass, or bog, whose noxious streams infected the air; but by the skill of Sir Robert Dudley, afterwards created Duke of Northumberland, the soil was rendered habitable; the air more healthy, and the port improved, so as to become the best in Italy. By his advice, also, it was made a free-port; that is, the duties inward are very easy, and there are no duties on exportation; which have rendered it, for more than a century, the greatest magazine of the Levant trade; and has drawn thither merchants from all parts, particularly Jews and Armenians; of whom many reside there, and have great privileges allowed them. The number of Jews, at Leghorn, is computed at eighteen thousand, and this city is called their paradise; for, except living by themselves, in one particular part of it, be reckoned a hardship, they enjoy all manner of freedom, without any ignominious mark of distinction. Their trade, which is already very great, is continually increasing; to the no small detriment of the christian merchants. There is, indeed, an inquisition at Leghorn, but without exercising any power over the Jews; for it is limitted to the spiritual conconcerns of those of its own communion. The synagogue is large, and well contrived; with abundance of brass chandeliers in it. For the work which must necessarily be done, in their houses, on the sabbath days, the Jews buy young Moorish girls; one of which, according to her age, and other circumstances, may cost forty, or fifty crowns. Leghorn is said to contain forty thousand inhabitants, including the Jews; but this calculation seems exaggerated, for so small a city. Most of the streets are broad and strait. The grand place larger, says Mrs. Piozzi, than Lincoln’s-inn Fields, makes a fine appearance; from which two vistas extend through both the city gates. The north part of this city is extremely well-built; and one quarter of it, on account of its many canals, for cleanliness and convenience of trade, is called Venice. Pollnitz observes, that this city is well-built; the streets broad, strait, and lightsome, and that several have canals in them, after the manner of Dutch cities; and that the ports are magnificent. They have good hospitals for the poor and sick, but none for those who are lame, or past labour; so that they have a multitude of beggars. The public prostitutes have particular quarters assigned them, and are under very strict regulations. It is said they even maintain one of the gallies, out of the taxes imposed on their profession. The British factors, who consist of about forty families, constantly maintain a chaplain at Leghorn; and as the harbour is never without English, Dutch, or Danish vessels, the Protestants have always an opportunity of baptizing their children, receiving the sacrament, and performing the other rites of their church. On the quay, near the gallies, is a famous marble of the Grand Duke Ferdinand I. with four Turkish slaves, in bronze, chained to the pedestal. It is said these slaves were a father and his three sons; who attempted to run away with one of the Duke’s gallies, but were overtaken and put to death. The ramparts afford a very agreeable prospect of the sea, and of many country seats on the land-side. The city is also well fortified, having two forts towards the sea, besides a citadel. The number of guns, in its several fortifications, are, at present, about three hundred, most of them brass; and the garrison consists of six hundred men. On the left side of the harbour is a lazaretto; insulated, on every side, and surrounded by wide ditches of running water. Here curiosity, says Grosley, led me into an accident, which might have been attended with bad consequences. The general communication, with all places of the Levant, often brings hither vessels actually infected, or strongly suspected to be so. The crews, when only suspected, are confined within the outward close of the lazaretto; the inward area, or close, is for those actually infected; of all which circumstances I was unacquainted when I went to visit the lazaretto; which I did not reach without a great deal of trouble, through a labyrinth of ditches and fortifications. In the first close I met with people, some of whom bowed, and drew back, making signs to me, at the same time, not to come near them. I entered the close-yard of the inner close, without meeting with any repulse; the wicket, which is almost always guarded, not happening to be so then. As I was going up to the second wicket, I saw a centinel standing there, who called out to me to keep off; and, on seeing me still advancing, fell a skipping, and making gesticulations like an ideot, or one out of his senses. On my offering him a buona mancia, his gesticulations, were still more extravagant than before; so that, imagining he was really out of his mind, I thought it most prudent to retire; and, being that evening at an assembly, in one of the principal familes at Leghorn, I related my disappointment. The whole company shuddered at the relation; and I was given to understand, that if my clothes had in the least touched the wicket, or those of the centinel, I must have been put in one of the cells, of the inner ward, and performed quarantine, along with the infected, of which it was the receptacle; and that had I broke loose from the centinel, and attempted to run away, his orders were to have fired at me, and to have hit me where he could. This is remarked by way of information against precipitate curiosity. Leghorn has, accidentally, done, what the greatest reach of politics would have found difficult to have brought about; for it has almost depopulated Pisa, if we compare it to what it was formerly; and it every day lessens the number of inhabitants, even of Florence. It is true strangers pay little, or no taxes directly at Leghorn; but, out of every thing they buy, there goes a large gabel to goverment. Addison says, when he was there, that the very ice-merchant paid above one thousand pounds a year for his privilege, and the tobacco merchant ten thousand pounds. This city is, in reality, the chief port on the Mediterranean; and many of the inhabitants speak English tolerably well. About noon the merchants meet, in a street adjoining to the square, to negociate their respective concerns; at which time many people, of all nations, are to be seen there, as on the Royal Exchange at London. All degrees of people live here, not only well, but splendidly; well, notwithstanding the exactions of the Grand Duke; for none can buy lands, or houses here, but he must pay eight per cent of their value to the Duke; none can hire, or build a house, without paying the tenth penny; none can marry, or even commence a suit in law, without giving a fee to the Duke; and none can bring so much as an egg, or sallad to market, but the Grand Duke has some share in it. Barks go daily from Leghorn to Pisa, by a canal sixteen miles long. This canal, besides the great convenience it is of to trade, serves as a drain to several morasses; in winter, indeed, it is sometimes frozen. The passage is only six sous; but what makes it disagreeable is that the company is not always of the best sort. The vessel is drawn along by men, and takes up six hours in the passage. The way, by land, is along a continued plain, over several stone bridges, across the canal; which both fertilizes the soil, and communicates a salubrity to the air, by draining the morasses; however, Leghorn is, by no means, to be ranked amongst the most healthy cities. […] et après, poursuivant notre chemin, sommes arrivez et entrez au soir à Livorno, logé chez bon amy. Ceste ville est marine et le seul port au Grand Duc de Toscanie; il n’y a que 30 ans qu’elle a esté bastie. Les murailles et bastions en icelles sont vrayement ad normam composées, le port est franc pour toute sorte de marchandise, et à cause de cela, la ville est habitée pour la pluspart des estrangers: [f.116r] le Governeur y est de la maison de Medicis. La plaine de Livourne est plus élevée que celle de Pise, dont elle est séparée par une digue, qu’on appelle Gronda, & qui commençant aux Toracce s’étend le long d’une ligne un peu courbe jusqu’au pont Arcione. Cette plaine d’ailleurs s’avance jusqu’au pied de la montagne de Valle Benedetta & Monte Nero. Comme elle est plus élevée que la côte maritime, on n’y voit pas de Dunes ou Tomboli. Le territoire de Livourne abonde en diverses especes de marbres, qui se trouvent au milieu des champs, dans les ruisseaux, le long du rivage de la mer. Depuis que le cours des eaux a été réglé dans cette plaine & ses marais dessechés, elle est devenue une espece de vaste jardin & si saine, que pendant l’été on peut passer sans aucun inconvénient les nuits en plein air dans les maisons de campagne, qu’on rencontre en grande quantité. On y cultive le bled, les légumes, le jardinage & les fruits ; & ces productions ont un meilleur goût qu’en aucun autre endroit de la Toscane. Les oranges & les citrons y grossissent, & supportent fort bien l’hyver ; mais ils manquent un peu d’odeur ; défaut que l’on remarque aussi dans les fleurs. Les vins y ont un certain goût saumâtre. Il est remarquable que du côté, qui regarde la mer, les arbres sont dépouillés de feuilles, & que leurs branches sont courbées & repliées du côté des montagnes. On recueille en quelques endroits une espece de graine pour la teinture (Cocco) ou Kermes de couleur noirâtre. La côte est fort exposée à un vent du sud (Libeccio), qui, quand il est fort, cause un brouillard assez humide, qu’on nomme le Spolverino. Il est formé des exhalaisons de la mer, & quand on arrive à Livourne par mer, on court risque de s’égarer, l’obscurité qu’il occasionne deux heures avant le coucher du soleil, empechant d’appercevoir même les montagnes & le fanal. Il faut en pareil cas s’arrêter à l’isle de Corse & le lendemain partir à l’aube du jour, au moyen de quoi on est sûr d’entrer à plaines voiles dans le port de Livourne vers le milieu du jour. Lorsque le vent du nord ou Maistral a soufflé pendant quelque jours, il fait baisser les eaux de la mer & la fait souvent éloigner de la terre de 10 brasses. Le vent du midi cause ordinairement des tempetes dans la mer de Toscane. Le vent du nord-ouest ou Maistral se leve communément en été vers midi & souffle réguliérement tous les jours jusqu’au soir ; ensorte qu’il tempere beaucoup la chaleur de l’air & le rend agréable. La mer de Livourne éprouve le flux & le reflux de 6 heures en 6 heures à la hauteur d’une demi-brasse, de la même manière que la mer de Venise. Dans le canal des Navicelli, ou des Vaisseaux, il est sensible jusqu’à l’écluse de S. Pietro in Grado, & est d’un grand secours aux vaisseaux trop chargés, qui souvent sont forcés d’attendre l’Empifondo ou l’Eau pleine de la lune : car c’est ainsi qu’en ce pays on appelle la marée. Outre cela la mer a un courant sur la côte, qui fait couler l’eau de Piombino à Luni, & qui est sensible jusqu’à trois milles du rivage. Près de la côte de Livourne on pêche toutes sortes de poissons & en quelques endroits même des esturgeons. Les pêcheurs en font avec Livourne, Pise & Florence un objet de commerce tres-avantageux. Les montagnes, qui environnent la plaine de Livourne, sont couvertes de bois, à la réserve de quelques endroits cultivés. On trouve sur le monte Nero beaucoup de plantes rares, fort estimées des botanistes. Au pied de cette montagne, la mer offre du corail propre à plusieurs ouvrages, mais cependant moins gros que celui de Barbarie. Les promontoires sur la côte sont munis de certaines tours pourvues d’armes & gardées par quelques soldats sous les ordres d’un châtelain. Elles sont destinées à observer les corsaires, & à donner avis de leur arrivée à la ville de Livourne en allumant des feux. 1) Livourne, anciennement Labro, Portus Liburnus, Castrum Liburni ou de Liborna, a environ 2 milles italiens de tour. Du côté de la terre elle est fortifiée par des bastions & de larges fossés remplis d’eau & a une assez nombreuse garnison. On lui donne 40 mille habitants. En 1730 on y comptoit 10000 juifs. Il y demeure une assez grande quantité de marchands grecs & arméniens & quelques familles angloises. C’est la résidence d’un gouverneur de la ville & du port, qui préside non seulement au militaire, mais encore aux tribunaux civils & criminels. Il a sous lui un vicaire, qui a le titre d’auditeur du gouvernement, & dont la jurisdiction criminelle s’étend à la potesterie de Rosignano ; deux chanceliers, & deux sous-chanceliers avec deux greffiers, qui, ainsi que le sous-chancelier, sont à la nomination du gouverneur. La ville est belle & bâtie à la moderne : elle est méme si réguliere, que de la grande place on voit les deux portes de la ville. La partie septentrionale est la mieux bâtie. C’est -là qu’est ce quartier qu’on nomme la nouvelle Venise, parce que, comme la ville de Venise, il est coupé par des canaux. La grande place est très-vaste & très -belle : on y remarque le Dôme, église d’architecture gothique, dans laquelle, entr’autres ornements on voit une belle voûte. Elle est desservie par des chanoines soumis à un prévôt, qui lui-même dépend de l’archevêque de Pise : le palais du Prince, où loge le souverain lorsqu’il va à Livourne ; & une fontaine, dont l’eau n’est pas trop bonne, mais dont le peuple est obligé de se contenter ; les gens aisés font venir la leur de Pise. Il y a à Livourne un grand bâtiment, où l’on enferme les esclaves pendant la nuit. Les édifices, qui méritent d’être vus, sont le grenier à sel, les magasins de tabac & d’huile, l’arsenal & le lazaret, où ceux qui viennent par mer d’endroits soupçonnés de la peste, sont obligés de faire quarantaine. En allant au port, on voit une statue de marbre que Côme II fit élever au grand-duc Ferdinand I son père. Elle est posée sur un piédestal aux quatre coins duquel sont 4 esclaves mores de bronze enchaînés, de figure gigantesque. On compte à Livourne 7 paroisses, 7 couvents d’hommes & un de femmes. Outre le dôme, les églises les plus remarquables sont celles des grecs réunis, des Dominicains & des Trinitaires. L’archevêque de Pise y tient un vicaire général & les officiers nécessaires pour former un tribunal ecclésiastique. Le tribunal d’Inquisition ne regarde que les catholiques domiciliés à Livourne, & est très modéré. En vertu d’un privilege accordé par le grand-duc Ferdinand I, tous les étrangers jouissent à Livourne d’une parfaite liberté de conscience, & peuvent dans le particulier exercer leur religion. Les juifs y ont leur synagogue, & y jouissent de plus de privileges qu’en aucun autre endroit de l’Italie. Les Turcs mêmes peuvent y professer leur culte dans l’intérieur de leurs maisons, en vertu d’un traité, qui assure le même droit aux Toscans dans la Turquie. Les protestants y ont un cimetiere particulier, où ils font transporter les corps de ceux de leurs freres, qui meurent dans les autres parties de la Toscane. On voit à Livourne plusieurs fabriques de corail. Le matériaux viennent en grande parties des côtes de Sardaigne & de Corse, & des environs de Bizerta en Afrique près de Tunis. C’est une chose étonnante, que de voir par combien de mains le corail doit passer avant de parvenir à la forme qu’il doit avoir, & avec quel soin on choisit les différentes nuances, qui en font varier le prix. On en compte 14, dont voici les noms suivant l’ordre de leur beauté & de l’idée de perfection qu’on y attache : 1) écume de sang : 2) fleur de sang ; 3) premier sang, 4) second sang, 5) troisieme sang, 6) Stramoro, 7) Moro, 8) Noir, 9) Strafine, 10) Sopprafine, 11) Carbonetto, 12) Paragone, 13) Estrême, 14) Passastremo. L’ouvrage, auquel on s’occupe le plus dans ces fabriques c’est à faire de petites boules de différentes grandeurs. On les enfile comme des chapelets. Celles, qui sont tout-à-fait rondes, passent en Amérique, les oblongues en Afrique & les plus grosses se vendent aux Turcs, qui en font des boutons. Les plus grand profit que fasse Livourne, c’est sur les marchandises de toute espece qu’on y dépose dans ses magasins, d’où elles sont envoyées par tout notre globe. Les Arméniens & les juifs y font les courtiers de toutes les nations, dont quelquesunes y tiennent des consuls. Le commerce de Livourne consiste dans la revente des marchandises venues d’ailleurs, comme cotton filé ou brut, caffé, sucre, épiceries, soufre, alun, lacque fine, cacao, anis de Rome, bayes de lauriers, toutes sortes de poissons salés. Il consiste d’ailleurs dans la vente des productions de la Toscane, comme des essences, de l’huile, du vin, des chapeaux de paille, des étoffes de soie, des anchois, de la crème de tartre, des peaux d’agneaux & de chevraux, des capottes de matelot, des liqueurs, du corail travaillé, des fleurs artificielles, toutes sortes de rossoli, du genievre, des limons, des citrons &c. Pour juger à peu près quels sont ceux de ces objets, qui se vendent le plus aux étrangers, surtout aux Anglois, nous remaquerons qu’en 1766 il sortit de Livourne 8979 barils d’anchois ; en 1764 2189 caisses de chapeaux de paille, la même année 8899 tonneaux de genievre ; en 1767 4 caisses d’ouvrages de corail ; en 1763 51 tonneaux de crème de tartre ; en 1765 2 caisses de fleurs artificielles ; en 1763 6 tonneaux de giaggiolo ; en 1767 1885 caisses de vin. La douane de Livourne depuis 1731 jusqu’en 1740 a rapporté au souverain, une année portant l’autre, 408,228 liv. 17s. 9d. & depuis 1751 jusqu’en 1760, 791,447 liv. 12s. 10d. enfin depuis 1761 jusqu’en 1766, 242,828 liv. 5s. 4d. Le Port, dont on a une vue gravée par l’ingénieur Bernard Sgrilli, n’a pas plus de 20 à 36 brasses de profondeur. Il est sujet à se remplir ; mais on y remédie par des especes de ponts mouvants, qui servent à le nettoyer. On fait la quarantaine dans le Moletto, qui est tout auprès. La Bocca est une baye pour les petits bâtiments, où l’eau n’a pas plus de 10 à 12 brasses de profondeur. Les vaisseaux de guerre jettent l’ancre sur la côte, qui est une espece de râde, & n’entrent pas dans le port. La Darsena est comme un second port, qui se ferme avec une chaine. Elle est partagée en deux par une digue, à laquelle on a laissé une ouverture capable de laisser passer une galere. Cette ouverture est bouchée par un pont qu’un seul esclave peut faire mouvoir. Les galeres du grand-duc se tenoient autrefois dans la seconde partie de la Darsena. Sur 2 rochers peu éloignés l’un de l’autre & environnés de la mer, s’élevent 2 tours, dont l’une s’appelle Marzocco, & est la plus haute. C’est sous son canon qu’on fait faire la quarantaine aux vaisseaux, qui viennent du Levant. L’autre tour contient une bonne source d’eau douce, où les gens de mer vont faire eau. Vis-à-vis de ces tours il y en a une autre aussi sur un rocher, mais plus avant dans la mer, que l’on nomme Fanal, & sur laquelle on allume pendant la nuit des lanternes, pour la commodité des vaisseaux qui arrivent. A 5 milles de l’autre côté du grand port, dans une petite isle nommée Meloria, s’éleve une autre tour fort grande qu’on apperçoit de loin, & qui sert à diriger les matelots vers le port. Livourne autrefois n’étoit qu’une méchante bourgade, qui en 1120 appartenoit à l’archevêque de Pise. Elle fut ensuite donnée à des marquis, qui en prirent le nom & furent longtems seigneurs. En 1279 elle n’avoit pas encore de murailles. Elle fut détruite plusieurs fois ; specialement en 1364 par Pierino Grimaldi, qui commandoit 4 galeres genoises & en 1264 par les Florentins. En 1404 Gabriel Marie, fils naturel de Galéace Visconti, duc de Milan, & alors seigneur de Pise, consigna Livourne entre les mains du maréchal de Boucicaut, général de Charles VI roi de France. Ce maréchal étoit pour-lors maître de Genes, & rendit en 1407 Livourne aux Genois ; & ceux-ci en 1421 le vendirent aux Florentins, en même tems que le port Pisan, qui n’en étoit pas éloigné. Pierre de Medicis remit Livourne à Charles VIII en 1494 ; mais l’année suivante il fut rendu aux Florentins. Leur république commença des-lors à se servir du port de Livourne pour son commerce ; & Livourne devint une place considérable, les Florentins ayant donné beaucoup de privileges aux marchands, qui venoient s’y établir. Le duc Alexandre de Medicis la fortifia sur un plan meilleur & plus nouveau, & fit construire la fortezza vecchia, qui a été augmentée depuis, & l’on voit les armes de ce duc avec cette inscription : un solo signore, una sola legge. Le grand-duc Côme I déclara Livourne port franc, y fit venir un grand nombre de grecs, & accorda beaucoup de privileges à tous ceux qui vinrent s’y fixer. Il aggrandit la ville, fit construire le Fanal & améliora le port. François, son fils, augmenta considérablement la ville. Ferdinand I, frere de François, fit bâtir le Mole, qui porte encore aujourd’hui le nom de Molo Ferdinando, la forteresse nouvelle commencée en 1604, plusieurs aquéducs & plusieurs fontaines, & accorda la liberté de conscience à tous les étrangers. Ferdinand II fit construire l’arsenal, la douane & la partie qu’on appelle Venezia nuova. Il est visible d’après cela, que Livourne doit sa splendeur à la maison de Medicis. I am transcribing the accounts book of a Cork merchant. In 1748 he had dealings with Jackson & Hart and Morin & Cholmley both I understand being merchants in Leghorn. I wonder has anyone any details on either? Excellent concept and presentation. You have successfully tapped into the early modern fashion of diary writing. Fascinating. Thank you. I’d hope you are going to do the same with Smyrna, but perhaps that is asking too much! Excellent research, thank you. I must visit Leghorn! Thank you Ronnie, let me know if you come visit!